One phrase that has been ubiquitous when discussing offsite SEO tactics for the past decade is “link neighborhoods.” There have been countless articles, presentations and graphics describing what they are, how to identify them and how best to determine what your neighborhood is so you can focus your link building efforts there. While most recent articles focus more on how to prevent your site from being associated with bad neighborhoods, trying to associate your site with good neighborhoods is still considered a best practice. With the advent of local search rising in importance over the past six years, citations have been rising in importance. There are many tools available to help you mine the citations, but it’s quite easy to categorize them into neighborhoods similarly to how links exist. Let’s look at some examples of citation neighborhoods, and tips for how you can take advantage of them. The first set of sites to focus on isn’t really in a neighborhood at all but includes the sites that use the citations in different neighborhoods to verify and confirm the accuracy of their information. Specifically, Google+ Local, Bing Local, and Yahoo Local should all be ground zero for any local search marketing effort. Until a business has claimed and optimized their presence on these, citation generation is probably not the best use of the business owner’s time. Tip: Claim your business listings, clean up duplicates, and fill out as much information as possible on Google+ Local, Bing Local, and Yahoo Local. 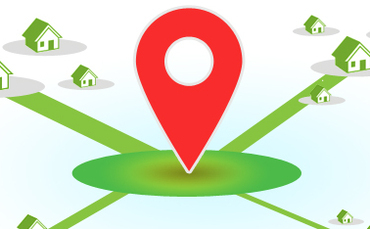 There are dozens of sites in this neighborhood that have large amounts of structured citations, including Citysearch, YellowPages and Superpages. Filled with business listings dominated by data from the primary data aggregators (Localeze, InfoUSA, and Acxiom), businesses should obtain and clean up their citations in this neighborhood after taking care of listings on Google+ Local, Bing & Yahoo. Tip: Utilize Localeze, InfoUSA and Acxiom to make sure that the information in this neighborhood of the local ecosystem is correct. This neighborhood is rapidly becoming the number one place to generate unstructured citations and can influence heavily how you perform in the search engines for queries with local intent. Facebook and Twitter lead the way, but businesses should not overlook LinkedIn, Pinterest, and Tumblr. Besides making sure they have a business profile properly filled out, business owners should also work toward having people mention and tag their businesses on these sites. Yelp is still the 800 pound gorilla in this neighborhood, but Angie’s List, TripAdvisor, OpenTable, and Judy’s Book are all important sites as well. Also, many sites in other neighborhoods – including the search engines themselves – offer user reviews which are more opportunities to build citations in those neighborhoods. Tip: Claim your listings on these sites directly and make sure your business information is correct and secondary information optimized. A true “Neighborhood” in the classic sense of the word, these are going to be sites that all revolve around people’s current locations. Think of local government sites, local newspapers, local job boards, local event and meet-up sites, local restaurant bloggers, and so on. Any and all of these generally have mentions if not full citations of local businesses, and anytime a business can get its information listed on these sites can have a powerful effect on Google rankings. Tip: On your next press release, include your address and/or phone number to build extra citations on sites in this neighborhood. Also, make sure your information appears correctly on your local Chamber of Commerce and Better Business Bureau sites. There are tons of sites out there focused on a single industry that can be great places to obtain structured and unstructured citations. Often times, sites in this neighborhood are how-to guides, forums and other user-generated content sites that make adding citations relatively easily. Tip: Start participating on industry sites and making sure to leave your business information where and when appropriate. While it’s unlikely that Google has become adept enough to recognize neighborhoods when it comes to citations similarly to how they are able to with links, businesses with a wide variety of citations often tend to rank better. As Google continues to refine its local ranking algorithm, it wouldn’t be surprising to see them take a more “neighborhood” view of citations in the future; so spreading out those citations sources and going for ones in relevant neighborhoods is something all local search marketers should be focusing on now.